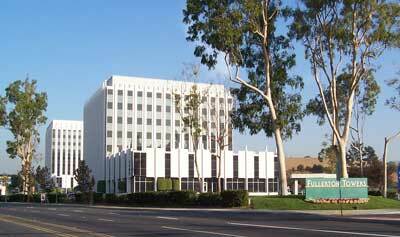 Geiger Networks is located in Fullerton, CA. The company was founded in June of 2000 by John Geiger. Prior to founding Geiger Networks, John spent 16 years as a Territory Representative and Division Manager at his previous firm. Today, Geiger Networks offers the strongest field sales force and customer relationships. We have a limited linecard focused on Tier 1 Manufacturers of high performance products that exceed the TIA and IEEE standards. Geiger Networks is firmly committed to ongoing education. In addition to his RCDD, John Geiger, has also attained his CPMR degree (http://www.cpmr.biz/). To acquire this degree, John underwent a three year program at Indiana University that was conducted by the Manufacturers Representative Educational Research Foundation (http://www.mrerf.org/) and the Institute for Professional Advancement. This program provides our leadership team with access to a network of manufacturers rep firms that allow him to bench mark Geiger Networks against the best rep firms in the country! Rep firms from all industries including electronics manufacturers, food brokers, etc. Chris Bergeron as attained his Certified Cable Testing Technician, which qualifies him as an expert in copper and fiber cable testing. This demonstrates that Geiger Networks is commited to fielding the best prepared sales team possible. John Geiger, RCDD, President and Founder, is considered an Industry Expert in the areas of Data Center construction, Cable Infrastructure Design, Mass Notification and Speech Privacy. He is a strong beliver in the Challenger sales process, and strives to deploy those techniques wherever possible. This leads to the companies ability to sustain annual growth year after year. He is also a frequent presenter at industry technology events, speaking about the latest infrastructure design trends. Penie Preston, Vice-President - Penie is a Principal in Geiger Networks. She has a reputation as a tiger in the Data Center, Network Construction, and AV/Security markets. Penie demonstrates daily why customers and manufacturers trust her to deliver for them. She runs our business throughout the Southwest and motivates the entire sales organization with a "coaching" management style. She leads the next generation of industry professionals. Bret Aldstadt, Vice-President - Principal - Bret is a talented Team leader, coach, and leads by example. Bret has prior experience working in Distribution, Manufacturing, Rep Firm, and Large Design-build Contractors. He's served in roles from field sales to Senior Executive. He has a track record of success with large end users and large construciton firms. He works from the CIO level to the Technician level. Chris Bergeron, CCTT - Southern California Sales Engineer - Chris is a strong technical trainer, excellent account manager, and consistent GNI leader. He has extensive background in copper and fiber cable testing and he's expert in active network performance testing. He is also strong in network construction and design. He brings a strong work ethic and commitment to ongoing training to our team. He is relentless in his pursuit of success. You can trust Geiger Networks to stay with you until your project is complete. You won't be disappointed with our manufacturer's!